? 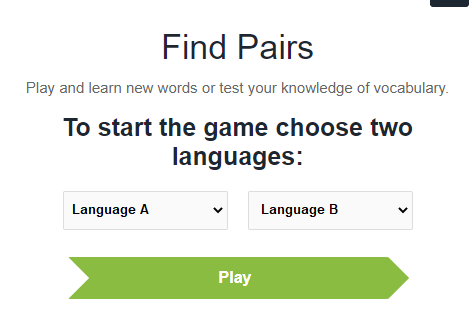 After clicking the “Start” button, pairs of equivalent words in two languages will be displayed. After a few seconds, the words will be mixed and divided into two groups according to the language. Select pairs of matching words by clicking the white and black fields. Copyright © 2017 BALTOSLAV. All rights reserved.